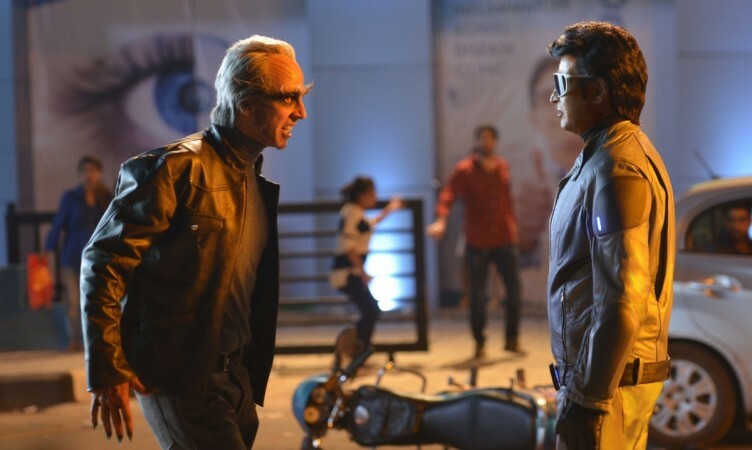 Director Shankar's 2.0 (Robot 2.o) has become the victim of piracy soon after its matinee show got over on its first day as the full Telugu was leaked online for free download, which will affect its box office collection. The makers of 2.0 have taken utmost care about its piracy, but they could not stop the full Telugu movie being leaked online for free download, which is likely to take a toll on its collection at the box office. 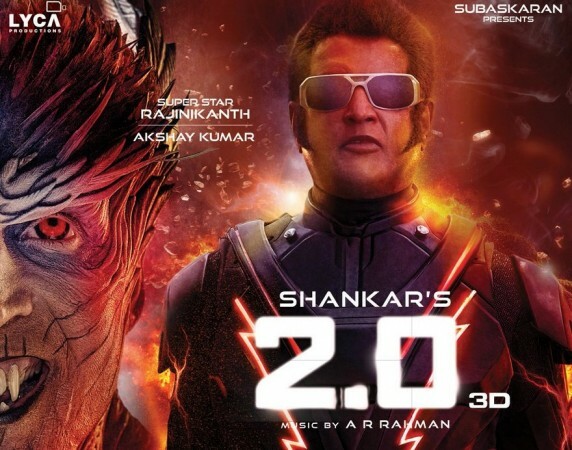 Directed by Shankar, 2.0 is a mega-budget film and Lyca Productions has reportedly shelled out Rs 550 crore, which is the highest ever amount for an Indian film. Its theatrical rights have been sold for whopping prices and the stakes are very high on the movie. The producers, who are very well aware about adverse effects of piracy have taken all precautionary measures to stop its leak on the internet. In an interview to The Indian Express, Sundar, executive producer of Lyca Productions, had revealed before its release that they moved Madras High Court to curb film piracy and prevent sites from leaking 2.0 for free download. He had also said that his team has listed down over 12,000 websites and are keeping an eye on them to stop from hosting its pirated version. "We have got a 'technical' team of ten people who are involved in this. I don't want to elaborate much on the measures we have taken to curb piracy because it needs to be 'silently dealt with'. We met the authorities concerned in both Chennai and Delhi and they assured us that some concrete steps will be taken. Also, I am sure 'links' won't open if someone searches for 2.0 online," Sundar had told TIE. But a notorious gang, which is known for its alleged activities online, has managed to have its hands at the full 2D Telugu movie of 2.0. Its website has leaked the HQ Proper PreDVD copy - HQ Line Audio for free download minutes after its matinee show on the first got over. The torrent site offers six different prints ranging from 2.3 GB to 200 MB for free download. These pirated copies are likely spread to other sites. The movie 2.0 has opened to humongous response and received positive talk from everyone. The word of mouth is expected to boost its collection at the box office in the coming days. But now its pirated copy is posing a big threat to its distributors, who have reportedly spent Rs 72 crore on its theatrical rights for the Telugu states. The free download of the full movie is likely eat away their share. 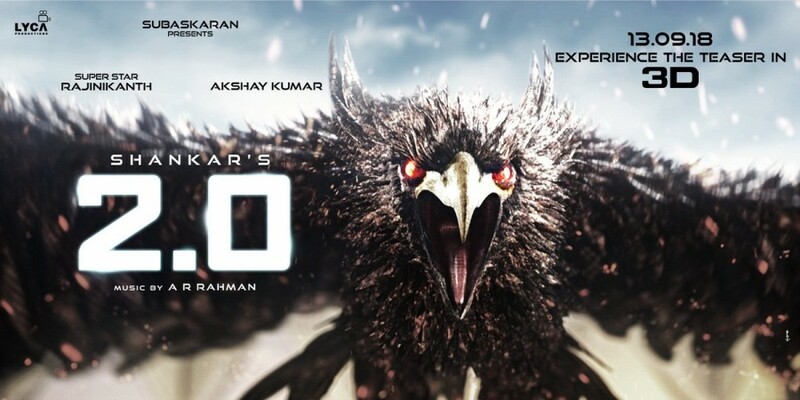 2.0 is sci-fi action film, which has been co-written by Shankar with B Jeyamohan. The film, which is a spiritual successor to Enthiran (2010), has been produced by Subaskaran Allirajah and Raju Mahalingam under the banner Lyca Productions. Rajinikanth, Akshay Kumar and Amy Jackson have played the lead roles, Sudhanshu Pandey, Adil Hussain and Kalabhavan Shajohn appear in supporting cast.